During your twice-yearly exams with us at Cosmetic Dentistry Center, we want you to leave our Newton offices with sparkling teeth. But we have goals beyond that. Sure, removing tartar and plaque and polishing your teeth are important. But even more important is our examination of the signs of oral cancer. That’s why Dr. Walk, and Dr. Bamel will pull on your tongue, push on your glands under your jawline, and perform other brief diagnostic exercises. There are various symptoms of oral cancer, but our visual examination is critical to early detection. Oral cancer is described as cancer that begins in the oral cavity. This can include the lips, the inside lining of the lips and cheeks, the teeth, gums, most of the tongue, the bottom of the mouth, and the hard palate. 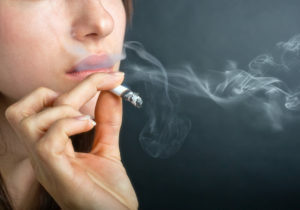 If you don’t smoke you may think oral cancer isn’t a possibility, but it can still develop. At our Newton offices, we see more and more oral cancer as a result of the human papillomavirus (HPV). When you’re in for your exam and cleaning, if we find any suspicious lesions (lumps, bumps, or sores) during your exam, in most cases, we will opt to remove the growth and send it off to the lab for evaluation. Most of these growths prove to be benign, but if they are cancerous, the key to treatment success is catching them early. That’s one of the reasons we ask our patients to be diligent about keeping their twice-yearly exams with us. Has the time lapsed for your twice-yearly cleanings and exams with the team at Cosmetic Dentistry Center? Call us to make your appointment, (617) 965-7673.